Maritime Executive magazine has published an op-ed column about STORIS and the associated haz-mat issues including the breach of several federal laws. A lot to read, but a very important post. This one will hopefully come to bite the government hard. On August 20, the GSA released the sixth in its series of rolling releases in response to my Nov. 4, 2013 Freedom of Information Act request related to its handling of STORIS. This particular release relates to GSA, STORIS and the handling/acknowledgement of hazardous materials on board the ship. This batch of paperwork is damning in many ways, as it reveals serious deficiencies within the Coast Guard’s handling of decommissioned ships, the GSA’s processes in disposing of these vessels and the inadequacies of EPA enforcement and application of its own laws, protocols and regulatory procedures. Then you have the U.S. Maritime Administration sitting back and letting this all happen, when that agency should have known (and likely was fully aware) of the related problems associated with STORIS’ excessing, sale and export. MARAD should have been the lead agency for STORIS’ disposal according to 40 USC 548, which mandates that MARAD dispose of ships of 1,500 tons gross displacement or greater. STORIS’ tonnage was 1,710. We -- the STORIS Working Group partnership of the STORIS Museum and The Last Patrol -- tried to warn the EPA that the ship was being exported with PCBs, but they fell back on simplistic, flawed paperwork that the CG created with the ship’s decommissioning. EPA never inspected the ship and allowed the export to proceed. Remember, this is the FOIA request that GSA wanted to charge me $10,266 to fulfill. Again, we are presented with multiple pages of repeated materials with huge spaces in between paragraphs. GSA retreated from its fee assessment because a similar request was submitted by Danielle Ivory of the New York Times. There is one more release that should be coming from GSA. P 1-158 – The Environmental Assessment performed simultaneously for ACUSHNET (WMEC-167) and STORIS and signed in December 2006. We already have this from several sources, including a completely clean, publicly available version already posted online by the U.S. Coast Guard. With this copy though, GSA spent a lot of time redacting it to release it to me, including the redaction of signatures throughout the document. Seems like a waste of time and “busy work” to justify creating an expense. The EA also outlines procedures for donating the ship to nonprofit museums, which the U.S. Coast Guard and GSA did not pursue with any sincerity or ethical integrity under 14 USC 641(a) and 41 CFR 102-36.150. Critical in this document and discussed in earlier posts is Appendix “D,” which is the MOA between the U.S. Coast Guard and Alaska State Historic Preservation Office that ultimately allowed the destruction of the ship. 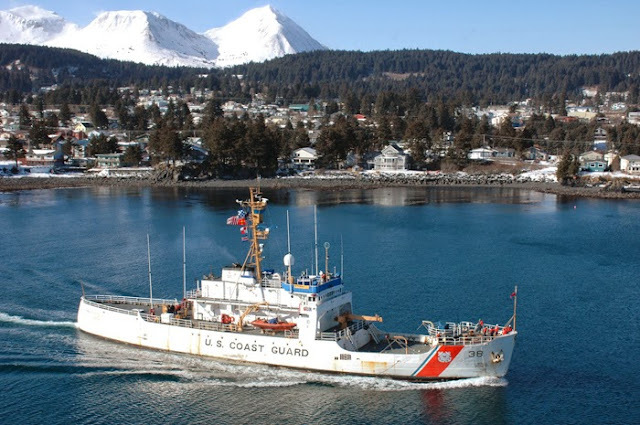 For the purposes of this discussion, Appendix “E” is the faulty environmental paperwork for STORIS that shows that the Coast Guard’s sampling methods for environmental hazards was seriously flawed. This sampling, as has already been pointed out by the ship’s last BMC, Greg Papineau, was a deliberate series of conscientious samples designed to avoid testing any sites that would have contained regulated amounts of PCBs, especially paint and electrical cabling/components. EM2 Yoshua Eli from the last crew has also verified the presence of a large quantity of undocumented cabling on board the ship that was abandoned in place. The only electrical cable sampled on the ship, as pointed out later in this release, was the main motor power cable which was added to the ship well after the 1979 PCB ban. I’ve recently spoken with another member of the ship’s last crew, a DC, who was very familiar with the ship and he indicated a willingness to sit down and write out what he knows about undocumented haz-mat left behind on the ship. 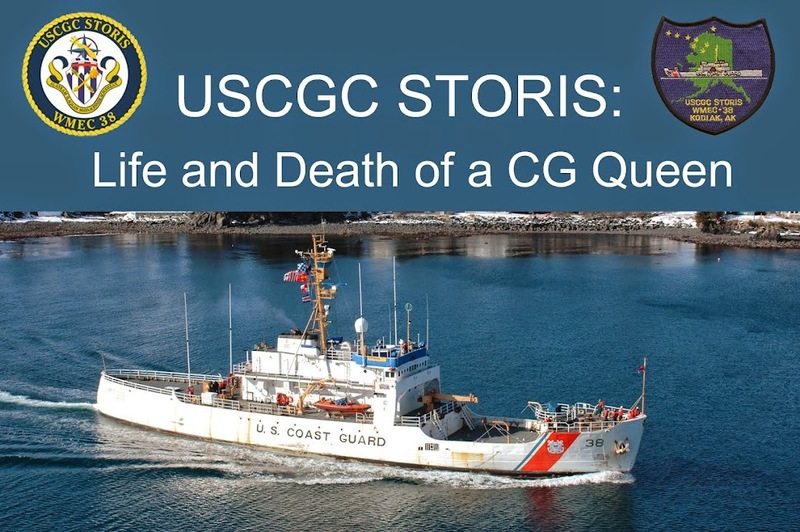 The revelation that the USCG seriously mishandled the PCB testing on STORIS raises grave questions, not only with STORIS, but also with ACUSHNET, which was sampled at the same time, creating uncertainty about the integrity of those test results. The heavy icebreaker USCGC MACKINAW (WAGB-83) was sampled in December 2005 and her EA documentation mirrors that of ACUSHNET and STORIS. She is currently a museum in Mackinaw City, MI. One could logically conclude that she, too, is loaded with latent hazardous materials that the CG consciously overlooked in the interests of disposal. Then there were the 180-foot Seagoing Buoy Tenders decommissioned during the same timeframe such as BRAMBLE (WLB-392) in 2003, now a private yacht/museum in Port Huron, MI; SUNDEW (WLB-404) in 2004, now a private yacht in Duluth, MN; and ACACIA (WLB-406) in 2006, now a nonprofit museum in Manistee, MI. IRONWOOD (WLB-297) is serving in Astoria, OR, as a training ship. I’ve been told by a retired CWO4 ENG who served on 180s that they were “asbestos and PCB nightmares.” PLANETREE (WLB-307) and IRIS (WLB-395) are still in the Suisun Bay Reserve Fleet, both considered too toxic with PCBs and asbestos for the government to sell. Both are covered by a disposal agreement between MARAD and USCG for some type of future dismantling. The encapsulated asbestos, lead-paint and especially the PCBs on STORIS would have been safe if left encapsulated and undisturbed as long as the museum had an EPA waiver of the Toxic Substances Control Act of 1976. Groups who maintain U.S. Navy ships as museums routinely agree to such waivers, which are mandatory through the U.S. Navy NAVSEA program. Scrapping STORIS in Mexico (as allowed to happen in 2013 by the US government approving the illegal export in violation of the TSCA PCB export ban as well as §3502 of Duncan Hunter NDAA of 2009) exposed all those encapsulated materials on board STORIS in an unapproved environment not up to U.S. remediation standards. If these other cutters still in the US contain toxins, the groups who own these vessels would be oblivious to what they have because there is no paperwork to go with them outlining the hazards like the U.S. Navy/EPA TSCA waivers for naval vessels. P 159- Press inquiry from Jessica York of the Vallejo Times Herald re: export of ships with PCBs. P 160- response from Heather Bischoff of GSA stating that STORIS’ CG paperwork said ship was PCB-free. P162-166 - Discussion between GSA and Jeff Beach of the CG surplus cutter office re: haz-mat documentation. GSA did not provide STORIS buyer Mark Jurisich with haz-mat documentation. This is a major reveal. The government, specifically GSA, as a matter of practice, only provides buyer purchase agreements and receipts. They do not provide haz-mat surveys for ships that are sold through the government, only claiming that the purchases are as-is and not warranteed. From Heather Bischoff of GSA: “We never provide the successful bidder a copy of the Hazmat Documentation.” This is outrageous. Asbestos and lead paint do not factor into the export issues associated with STORIS, only the PCBs. However the law dictates that GSA has to disclose known haz-mat contamination. If they conceal information and a buyer purchases a property on an “as-is” basis, the purchase may be found to be invalid later with the discovery of haz-mat. While it is too late for STORIS, this raises interesting questions about the validity of the ACUSHNET sale in March 2011. As you recall, she was sold to a man who is currently in federal custody facing several wire fraud charges for swindling an elderly widow of over $1 million to buy ACUSHNET. GSA shouldn’t have sold ACUSHNET because her tonnage exceeded that which GSA is allowed to handle (40 USC 548). But if ACUSHNET is dirty, she should never have been sold at all. ACUSHNET is currently for sale for $250K. Perhaps the sale should be voided, the government take back ACUSHNET and refund the widow the $601K the accused swindler used to buy the ship… That $601K is more than $250K and maybe then ACUSHNET could be properly excessed to a museum group for preservation as should have happened all along. P 168-69 – Rehash of previous communication. All of this documentation seems to reflect ignorance or blind incompetence within the GSA and Coast Guard, as no one acknowledges §3502 of the Duncan Hunter National Defense Authorization Act, which prohibits the scrapping of former US Government vessels in foreign scrapyards. The issues with PCB exports and the proper protocol that should have had officials assuming that STORIS contained PCBs by virtue of her age and the sparse paperwork also should have raised red flags, but did not. P 171-174 – Correspondence between Jeff Beach of CG and Joe Pecoraro, supervisor of MARAD’s SBRF, regarding MARAD departure report and difficulties in sending it via email because of the large size of the associated departure photos. P 174 - Correspondence between Jeff Beach of CG and Chris Rollins of EPA Region IX in San Francisco. Rollins was the inspector I spoke with the week that STORIS was being prepared for export. I raised concerns about PCBs on board and Rollins responded that he had paperwork that said STORIS was clean of PCBs. The message was cc’d to Bill Noggle of EPA in Washington, DC, re: the issue of PCBs on board the ship that were raised by Polly Parks of EMR and me through the STORIS Working Group. P 175-186 – Correspondence with Polly Parks between Rollins, Noggle and Bischoff. This was an expression of concern from Ms. Parks after reading about the export of STORIS to Mexico in Stars and Stripes. Ms. Parks, as a ship recycling official, recognized the certainty that the STORIS export was illegal. P 197- Chris Rollins of EPA Region IX in San Francisco checking with GSA re: radioactivity and status of ship in Mexico. P 211- Very interesting, indeed. Eleven minutes after Heather Bischoff told Jeff Beach not to send information to Ms. Parks, Jeff Beach tried to initiate an electronic email recall as he had already emailed the information requested by Ms. Parks. The attempt was unsuccessful as the email had already been delivered and downloaded. This is another blatant attempt by the federal government to keep information from being released to parties with a vested interest in STORIS. In the last release from GSA, Heather Bischoff worked to withhold buyer information from me, deliberately telling GSA and Coast Guard not to tell me who the buyer was. Here, she is attempting to keep information related to STORIS from going to someone from the public who obviously knew and cared more about potentially hazardous materials and federal laws regulating those materials than the government officials directly handling the ship’s disposal. P 212-215 – GSA Bischoff to Jeff Beach, asking if CG got MARAD departure report. P 223- Bischoff responds to PCB issue by stating that all haz-mat had to be removed from the vessel. We know now that this is clearly not the case, that STORIS was undoubtedly contaminated by testament from former members of her crew, by virtue of her construction date and very nature of what she was. P224-225- Statement from Beach “The Coast Guard stated that the vessel was free of PCB material based on a memo from the Coast Guard Health and Safety Office dated 1/14/2007. An initial memo from 15 November 2000 reporting results of a HAZMAT survey on STORIS reported the presence of PCB material and lead paint and the absence of asbestos. The only HAZMAT known to be on board is lead paint. The lack of PCB material and lack of asbestos material qualified the cutter for DOMESTIC disposal.” (my emphasis) We know now that this documentation was seriously flawed, as the January 2007 document was a simple cover letter for the 2000 report that stated the ship was free of PCBs based on removal of 20 linear feet of black foam. This cover sheet, however, concedes that there was still encapsulated PCBs on board the ship, based on its language in relation with the probable expectation that the ship would remain in a domestic setting. The 2000 report was flawed in that it was deliberate in its sampling and skipped random locations throughout the ship that would likely have contained PCBs. There was also no PCB sampling as related to paints, where they would have been used as flame retardants. Again, referring back to the EA, the EPA PCB video and the Rand PCB document, all these resources should help validate the concerns with the presence of PCBs on STORIS. It’s interesting that Beach refers to domestic disposal when STORIS ended up in Mexico in an ultimate violation of federal law. P 226-230 – Continuation of discussion regarding PCBs and questions related to movement of ship. P 230-231 – General description of STORIS. P 232- Haz-mat statement for IRIS and PLANETREE plus STORIS designated as PCB-free. P 233-247- PowerPoint presentation that shows the miraculous removal of 20 feet of foam covering that was identified in the EA as containing regulated amounts of PCBs. Removing this foam through a January 2007 project miraculously made STORIS totally free of PCBs in the eyes of the Coast Guard. According to ship recycling expert with extensive knowledge in the recycling of WWII-era ships, the legal guidelines for PCB sampling protocol would require total removal of all black foam onboard and re-sampling of all suspect materials again following removal. The USCG just removed the foam from pipe that was sampled. This is expressly prohibited by EPA protocol. P248-250 – The main motor cable PCB test for STORIS referenced above. This cable was installed well after the 1979 PCB ban and obviously would have had no PCB contamination by the very nature of its manufacture date. As the other posts demonstrate, the destruction of STORIS was not the sole responsibility and fault of one federal agency or individual, but a concert of flippant arrogance and incompetence spanning at least four federal agencies, the US Coast Guard, GSA, MARAD and EPA. Ignorance of the law should not be a defense for the bureaucrats responsible for this situation. They should have known better. And just because they could expedite the excessing and disposal of the ship through a sale, ethically and morally they could have continued to work with the STORIS Working Group to save the ship. These bureaucrats knew the ship was listed on the National Register of Historic Places, yet they did nothing to help save the ship and did not follow the legal options available as outlined in the EA. This document even states the U.S. Coast Guard had the option to designate the ship for donation and did not do so. This is why we need the STORIS Act legislation to pass, to get these details out in the open on the table through an official investigation by official representatives and watchdogs from within the government. The agencies and people responsible for this situation need to be called onto the carpet and made to answer for their actions. The FOIA’d documents show that these federal agencies and bureaucrats broke the law and there should be consequences. A response to the Aug. 3 op-ed column written by MARAD Administrator Chip Jaenichen. Our efforts to secure documentation from MARAD are acknowledged. MARAD Chief Administrator Chip Jaenichen responds...sort of. An op-ed piece in American Shipper popped up today in defense of MARAD's practices with the Maritime Heritage Grant funding that is one of the centerpieces of the STORIS Act legislation. Apparently MARAD thinks it's a bank, to sit on funding designated for maritime heritage sites. And not one word related to what happened to STORIS and MARAD's complicity in that crime against history.